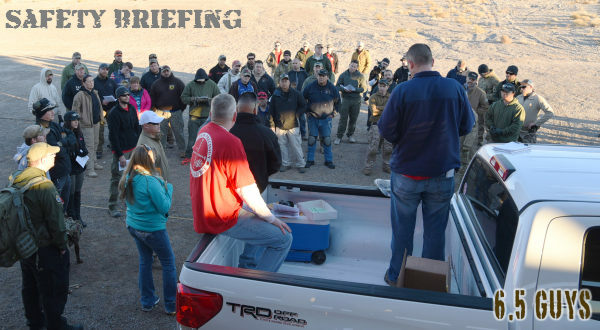 Our friends, Ed Mobley and Steve Lawrence, aka the “6.5 Guys”, have written an excellent article on getting started in practical/tactical competition. If you are new to the game, these tips can help you save money, progress faster, and have more fun. Here are article highlights, but we recommend you read the full story, 5 Tips for Attending Your First Precision Rifle Match, on www.65guys.com. We often meet people who are new to long range precision shooting, and want to improve their knowledge and skill level. However, they aren’t sure if they are ready to sign up to compete in a match. They often ask, “What knowledge or skills are necessary to compete in a match?” Others may state, “I need to purchase this gear or that gear before I can attend a match”. For those guys who have a strong interest in precision rifle shooting, and who wish to chec out a precision rifle match, below are Five Tips to make it a positive experience. First you need to start by finding a match to attend. This may entail a little bit of research and investigative work on your part to find what matches are scheduled in the next few months. We recommend starting with any match that may be within a reasonable driving distance. This may likely be a local “club” match, many of which are held on a regular basis. These make great venues because it will provide an opportunity to meet some of the regular attendees as well as shooters that are from your geographic area. Additionally, most of the smaller matches are a little more relaxed in terms of level of competitiveness. — What time should I arrive? — Is there a mandatory safety briefing for new shooters at that venue? — What is the travel time required to get to the match site? — How many stages will there be? — Is there a description of the stages available before the match? — How many rounds should you bring? 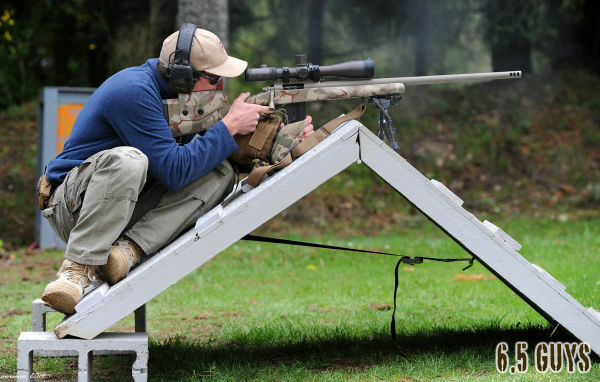 Some new shooters often assume they need a custom match rifle or all of the miscellaneous shooting gear associated with long range precision shooting to compete in match. While having a Kestrel weather meter and a high quality laser range finder and other shooting accoutrements are invaluable kit, you will find other shooters at your first match that will provide you with the information and coaching you need to get on target. In fact, the only gear you really need to bring is a scoped rifle with a bipod and ammo capable of consistently shooting within one MOA. Also, be sure to know the ballistic drops or have a ballistic drop table prepared for your rifle/ammo to dial the correct DOPE on your scope for different target ranges. Many of the other participants at the match will be willing to let you borrow a support bag, bipod, tripod or other gear if you need one — just ask. Don’t use the excuse of not having the right gear to delay getting out to a match! One reason not to make a big initial investment in a new rifle and assorted gear before competing, is we’ve seen a number of people come into the sport and try it for a year and then make the decision to move on to something else. As a new shooter at a match, there is no better opportunity to learn. We often look to our local club matches as a group ‘training’ session to prepare for the bigger matches. You will find competitors at all levels of skill and many of your fellow shooters will enthusiastically provide helpful advice once they learn you are new to the sport. Take advantage of the opportunity to ask questions if you would like ideas for how to engage a stage, but also be sure to do more listening than talking as you receive guidance and tips from more experienced competitors. Watch and observe other shooters and how they approach and ‘game’ a specific stage or course of fire. You’ll begin to recognize which shooting positions work best for different scenarios, and maybe even come up with some new ones that no one has thought of before. Seeing what the better shooters do is an invaluable instructional tool. You can use your smart phone’s video camera to record other shooters (with their permission). When you’re ready to shoot, ask another shooter to record your performance. Watching yourself will point out needed areas of improvement. After Action Review – How you did, what went well, things you need to work on in practice. Stage Observations – Successful methods used for specific courses of fire. Note barricades, positions used, specific gear used for stages. Gear Observations – How your rifle/gear performed, what new items you should add to your “buy list”. You’ve all heard a parent or teacher say, “It’s all fun and games until someone loses an eye.” The same can be said of the shooting sports. Safe handling of firearms is the number one rule at any match, and comes before the FUN part in terms of importance. Before all matches start there will always be some form of a mandatory safety briefing. Make sure you know, understand, and follow any unique safety protocols for the match you attend. 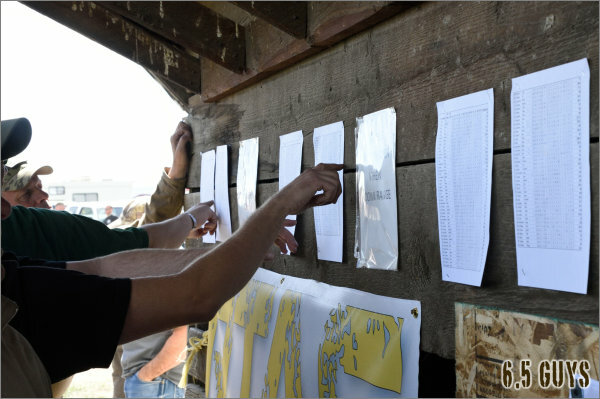 Some matches require all rifles have chamber flags inserted and are stowed in bags/cases while not on the firing line — other matches may not. If you run afoul of any safety rules, you risk the chance of being disqualified from a stage or worse, the entire match. The second rule is simply have fun. This starts with having a good attitude throughout the day. Keep in mind that as a new competitor you should think of a match as a solid day of practice and training. If you blow a stage, use it as an opportunity to diagnose what you could have done differently or what you need to improve on — then smile and drive on. Any day at the range or shooting is a good day. A match is an opportunity to hang out with like-minded people who are passionate about shooting and impacting targets far-far away. Life is great when you are doing what you enjoy! There is no better way to meet lots of precision rifle shooters and make friends than at a match. The people that attend the tactical precision matches on a regular basis are those that have ‘fallen into the deep end of the pool’ and are really into the sport. As a result, they have become part of the local precision shooting community. As you strike up conversations at the match, find out if your new-found friends visit specific forum boards or social media outlets, or if there are other matches they attend. Precision shooters tend to congregate and share information in different corners of the Internet. It will serve you well to meet some of the guys in person at matches and be able to connect a face to a screen name. As you develop your friendships and develop a level of trust, you will find opportunities become available to shoot with others in your local area, or get ‘read-in’ on a secret honey-hole of a spot to shoot long distance. Additionally, the local shooting community will often find it more convenient to sell or trade gear and equipment locally than deal with buyers/sellers that are out of state. Share the post "Getting Started in Precision Rifle Matches (Practical/Tactical)"
Lyman’s popular E-Zee Case Length Gauge is now bigger and better. 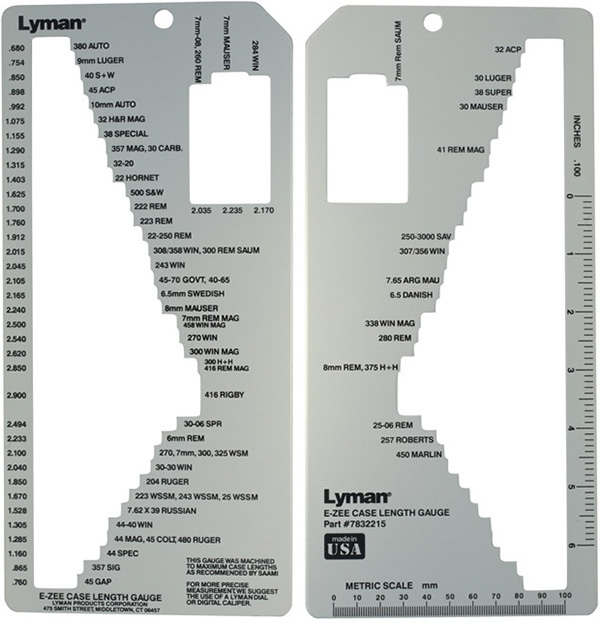 The new version II of Lyman’s Case Gauge is much larger than the original version. The Case Gauge II now measures more than 70 cartridge types — way more than before. This tool is a metal template with SAAMI-max-length slots for various cartridge types, including relatively new cartridges such as the .204 Ruger and Winchester Short Magnums. This tool allows you to quickly sort brass or check the dimensions. If you have a bucketful of mixed pistol brass this can save you hours of tedious work with calipers. You can also quickly check case lengths to see if it’s time to trim your fired brass. If you load a wide variety of calibers, or do a lot of pistol shooting, we think you should pick up one of these Lyman Case Gauge templates. They are available for under twenty bucks at Brownells ($18.99) and Amazon.com ($17.77). The E-Zee Case Gauge has long been a popular item for hand-loaders. NOTE: For years the E-Zee Case Gauge had a silver finish with black lettering, as shown above. Some of the most recent production of E-Zee guages have a new “high contrast” look, with white lettering on a black frame. You may get either version when you order online (Brownells shows silver, Amazon shows black). We actually prefer the older version. 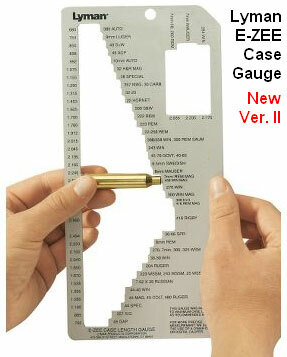 Easily measure the case length of over 70 popular rifle and pistol cases with Lyman’s new E-Zee Case Length Gauge II. This really is a “must-have” piece of kit for any gun owner who hand-loads numerous pistol and rifle calibers. This rugged, precisely-made metal gauge makes sorting or identifying cases fast and accurate. The template is machined with SAAMI max recommended case lengths. Made from metal, with no moving parts, the E-Zee Case Gauge II should last a lifetime. Share the post "Lyman E-Zee Case Gauge Measures Over 70 Cartridge Types"